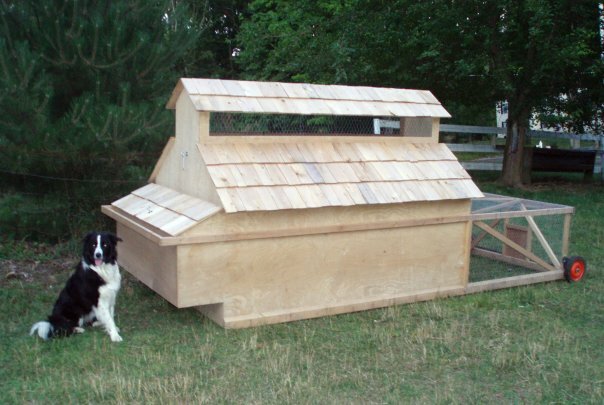 Below are examples of our designs for mobile poultry housing: mobile layer houses and broiler pens for pasturing. See below for more information, photos and plans. For "Farm tech" related pages click here. Eggmobile for up to 26 layers. Click for more info. 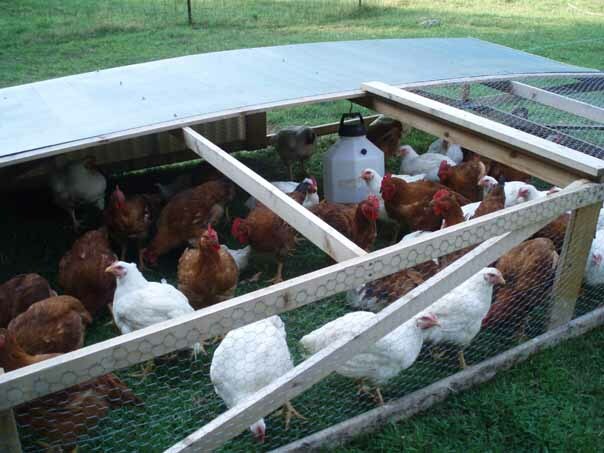 Mobile pen for pastured poultry (door removed). More info.